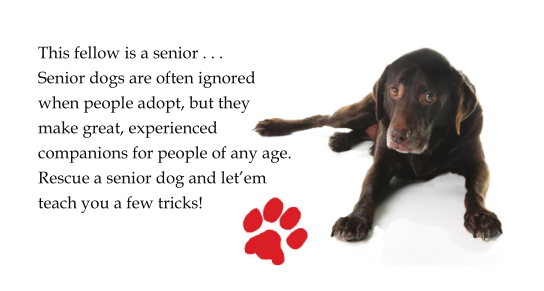 Mission: To rescue, rehabilitate and provide a loving and permanent home for dogs deemed "un-adoptable" because of age and health that would otherwise be unnecessarily euthanized. Bentley is a perfect example of the dogs whose lives will be changed with Top Dog Foundation. He was found wandering the streets of Shorewood Minnesota on a cold December day in 2001. He was picked up by animal control, with no tags or collar, and was taken to a kennel that does impound work for the city. After several weeks with not a call or claim, he was going to be given up to a shelter, where he would most likely be euthanized, due to his age (guessed to be around 11) and health issues (dry eye, blindness, and severe dental problems). He had been wandering the streets for some time, evidenced by the condition of his coat and his eyes. He was so matted, and he could hardly open his crusted eyes. Saturday evening, January 5, 2002, I received a phone call from the owner of the kennel that had him. I have a reputation as “The Sheltie Lady”. She told me about this old dog and informed me that he would probably be euthanized unless a home was found soon. She inquired as to whether I might know of a family that wanted an older Sheltie. Without a thought, I told her my husband would be there within the hour to get him. When Curt picked him up, this scruffy little hobo dog clung to him, as if he finally felt safe and warm. His coat was a mess and he smelled terribly. He snuggled in Curt’s lap and did not move the entire ride home. Over the next few days, I found evidence that he had been abused. He was deathly afraid of stairs and his ribs were tender to the touch. He very quickly learned about love and safety in our home, and fit in with our family. We named him Bentley (for a “Rolls Royce” life). He wags his tail constantly, and is the most grateful dog I have ever known . . . . just happy to be alive and happy to be loved. He has eye medicines of one sort or another, seven times each day, in an effort to salvage what little vision he has left. I have no idea how old he really is and the specific details of his life, only that he is a happy kid and a constant reminder to us about unconditional love, about trust, and that his little life was worth saving. Visit the Top Dog Foundation Website!